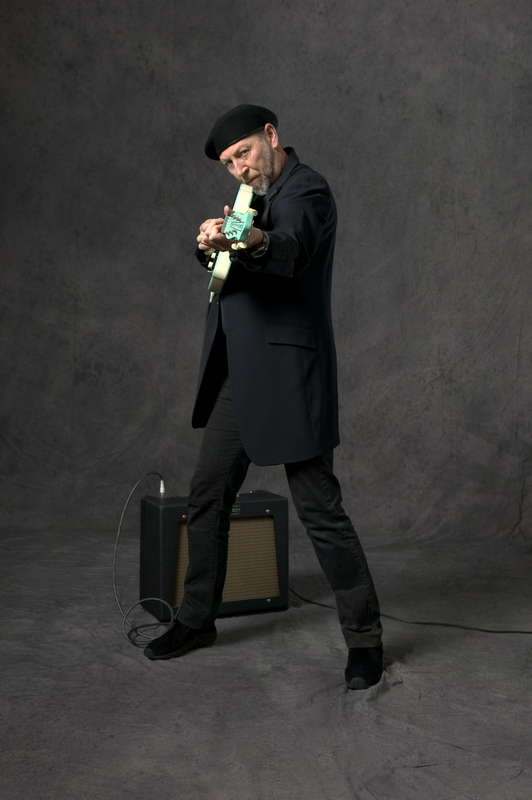 Despite making more than 20 albums over his four decade career, Richard Thompson is still best known for his incendiary live shows, which offer him a chance to stretch out and display his virtuoso guitar skills. That’s why Thompson decided not to bother with the studio for his latest batch of new songs, recording them live on stage instead. The result is Dream Attic, his most energetic album in years. 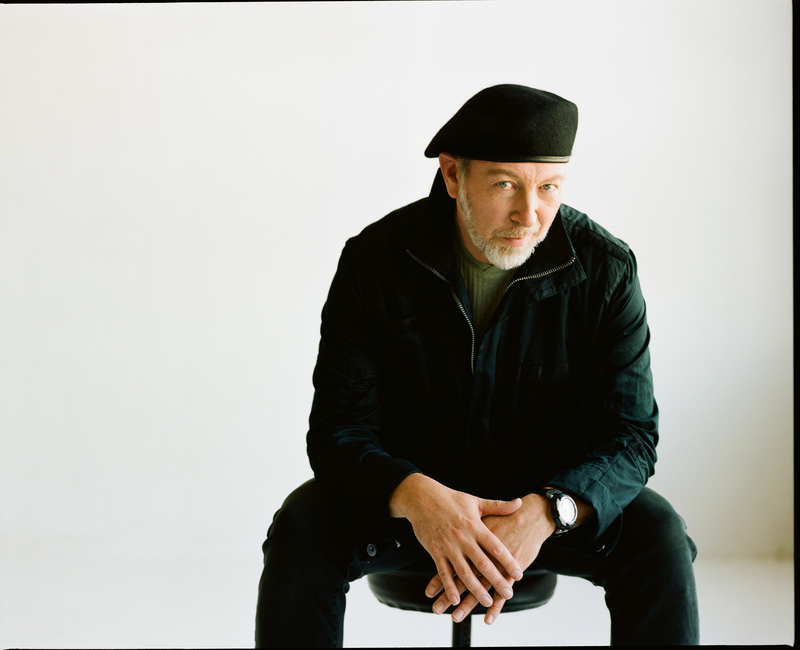 We talked with Thomspon about the album, his guitar style and his thoughts on his 1982 classic Shoot Out the Lights, which is being reissued this month. Why did you choose to record Dream Attic in front of an audience rather than in studio? Had you ever thought about doing that before? I wasn’t thinking of doing it at all. It occurred close to the time we should have been recording. The songs were written and we were talking about how we should record them. Was it your idea your to record them live or someone else’s? It was mine. But even if it was someone else’s idea, I’d have to claim it as my own. What was the process like? How much did you rehearse versus trying to keep things spontaneous? As someone who doesn’t like to rehearse in general, there wasn’t ever going to be a lot of rehearsal time. We rehearsed for three days and went straight out on the road. Honestly, we were a little under-rehearsed for the first two shows. We did eight shows and recorded all eights, but I think most of the material we chose came from the last three, which is logical. The songs became more embedded and we got more confident playing them as we went on. Yeah. One of tradeoffs of recording live is that you have to compromise on performance you choose. Sometimes you get one performance and it’s the best vocal, the best guitar solo and the best performance overall. But more often, the best guitar solo is on Night Three and the best vocal is on Night Seven and the best overall track, and one you have to choose is, Night Five. You’re more limited in your choices than you are in a studio, where you can do the songs over and over again and splice some new parts on. But with technology today, you could have spliced the best vocal to the best guitar solo if you wanted to, couldn’t you? Was it a challenge to get the audience excited about hearing a lot of new songs at the shows you recorded? I thought the audience responded well. I explained at the beginning that we would play 13 new songs straight off. A few people fainted and had to be carried off (laughs), but they mostly understood. Then we took a break and did a second set of more familiar material. Your 1982 album Shoot Out the Lights is being reissued this month. What do you think of that album when you look back? I never thought it was a great album. I like the songs, but I don’t particularly like the recording or the performances. We should have spent longer in the studio. That was a three-day record. We were recording as fast as possible to get things as spontaneous as possible. I wouldn’t have minded spending more time on it. But I’m very fond of a lot of those songs. I still perform many of them on a nightly basis. Is it weird to be so associated with an album about a divorce that happened nearly 30 years ago? One of strange things about being a songwriter or performer that doesn’t happen in other fields of performance or art is [the process of] revisiting your own songs and in a sense revisiting your own life. You’re revisiting yourself at different ages. If a song you wrote at 18 is popular with the audience you may be signing it at age 60, so you have to find different ways of thinking about that and reinterpreting that song because it may be a naïve song or have viewpoints you wouldn’t agree with now. It’s a strange and interesting thing. Shoot Out the Lights is a lot of people’s favorite album of yours. What’s your favorite? Mock Tudor. I like the sound and the performances. I think it got closest to fulfilling what I was trying to do with that record. Before you start making a record, you have some idea of what it should sound like, what the arrangements should be and how it should be played. Usually in the studio things change and that’s OK. Sometimes things change for the better and sometimes they change for the worse. There were a lot of pleasant surprises on that record. Things came out better than I thought they would. It’s a mystery. I’m not sure I have a process, which doesn’t mean I don’t work at it. I just don’t have a process. I don’t always start with words and I don’t always start with music. Some stuff relates to my life. Some is pure fiction. Some are things that happen to other people. Do you prefer to write at home on the road? You have to be open to ideas coming at any time. That’s why you always have to have your notebook on your person. But to get things finished, I need to not be on the road. When I’m on the road, a part of my brain is involved in performing existing material. I find it hard to focus on new things. You’re known as one of greatest guitarists of all time. How did you develop your style? Growing up around London in the ‘60s there was a lot of bad white soul music and not very good blues. I thought “I don’t want to be like that.” I consciously tried to not sound like other people. I think some of the things I do in terms of technique come from misunderstanding other guitar players or being lazy. I also consciously try to expand the vocabulary of the guitar by not listening to other guitar players and listening to horn players or pianists instead. Can you give me an example of how being lazy helped you? There’s a thing I do called hybrid picking where you use a flat pick between your thumb and first finger. I also use fingers two and three to fingerpick and I think that’s a technique that comes out of being too lazy to put the pick down and use all three fingers. But having developed that, it’s a very useful technique that gives you options you wouldn’t get in any other style. What new guitar players do you think are doing interesting things? I don’t listen to new guitar players at all. I know that’s a horrible thing to say, but it’s true. I try to listen to dead ones who can’t sue me. Some of my favorites are Django Reinhardt, Les Paul and Hank Garland. Last year, a new box set of your music came out. What are you most proud of when you look back at your career?